Give to help families in need for the Sacred Heart Mission. 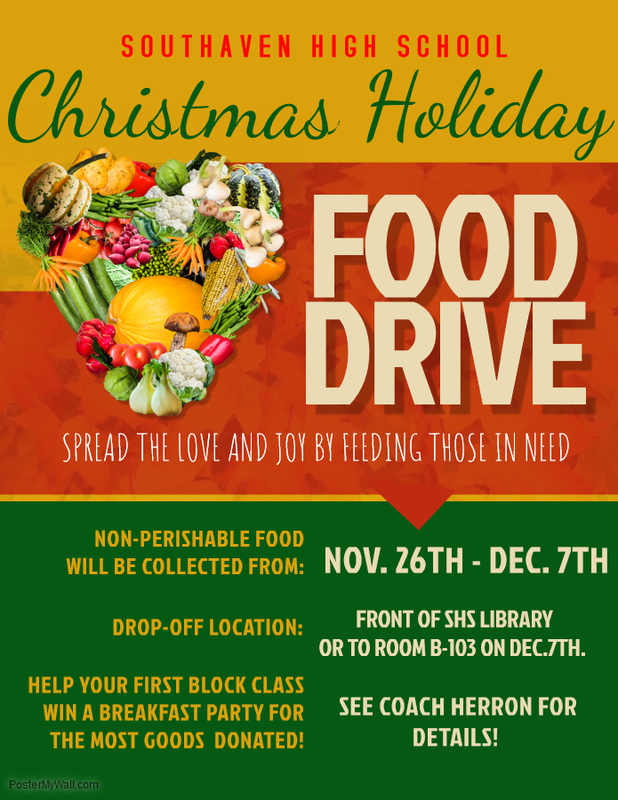 The SHS Annual Food Drive will support the Sacred Heart Southern Mission. Our goal this year for this drive is to collect over 1,000 items. Help families in need this Christmas Holiday with a warm nutritious meal by donating your canned food, dry goods, and non-perishables. Contact Coach Warren Herron for more info on donating to the great cause at: warren.herron@dcsms.org.